From weekend worship services and weekly preschool classes, to choirs and programs specially designed for families to attend together—the Early Childhood Ministry offers a safe, loving and collaborative environment that will nurture your child’s faith and creativity. We equip parents with weekly tools and resources that will set your child up for success during these tender years. We invite your child to join us for planned daily activities involving art, Bible stories, cooking, language arts, math and science. We will also provide a nutritious snack and extra time for play. Children must be ages three through six and potty trained. Please Note: If you are not a current member of our preschool and wish to join us for Curious Club, please contact us for the necessary registration forms. *Christ Church of Oak Brook Preschool welcomes students of any race, color, national or ethnic origin to all the rights, privileges, programs and activities made available through our school. It does not discriminate on the basis of race, color, national or ethnic origin in the administration of its educational or admissions policies. Hopscotch is a program designed to provide preschool children with direct and one-to-one practice and instruction in the areas of handwriting, phonemic awareness, and phonics. Children must be 4 before September 1. *Christ Church of Oak Brook Preschool welcomes students of any race, color, national or ethnic origin to all the rights, privileges, programs, and activities made available through our school. It does not discriminate on the basis of race, color, national, or ethnic origin in the administration of its educational or admissions policies. CAMP WONDER 2: MAKE A JOYFUL NOISE & PRAISE GOD! 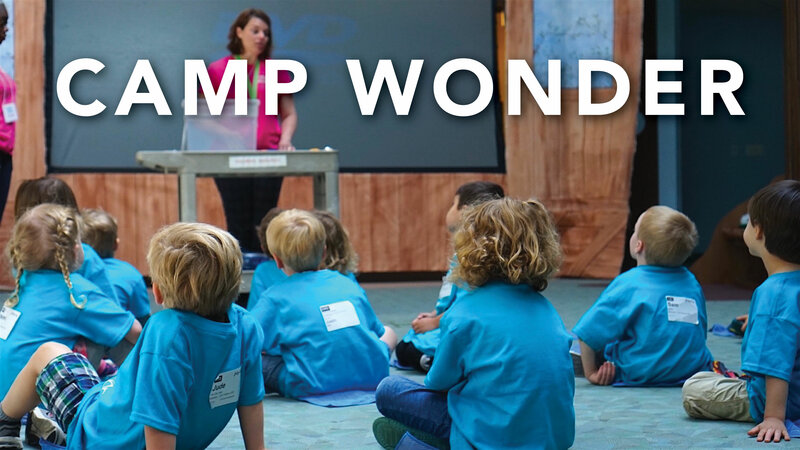 Camp Wonder is a place where little campers can wonder about God, their world, the Bible, and the people around them. We will engage in science, music and art activities, along with enjoying Scripture, stories, snacks and games. Together, we will make new discoveries and new friends and will be caught up in wonder as we explore God's Word! If you need assistance while registering please contact the Event Registration Desk at 630.321.6752. Bring a friend along this summer as we take an epic safari adventure that engages the whole herd. 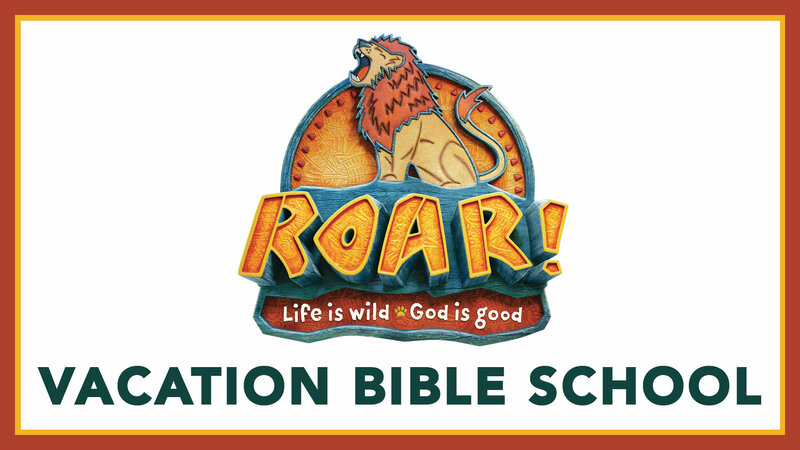 At Roar, children will explore God’s goodness and celebrate a ferocious faith that powers them through this wild life. Serve at Vacation Bible School! Make a lasting impact on our youth who attend VBS. We need over one hundred committed volunteers to make this week safe and memorable. There are many small and large-scale opportunities to make a diference. Register to volunteer at this year's VBS by clicking the button below. Weekly rehearsals begin Sunday, September 9 and run through December 16 and again from January 6 - April 28. Periodically present music in Sunday morning worship services, as well as Thanksgiving Day, Spirit Village, Messiah-CarolFest Concerts, Christmas Eve, and Palm Sunday; they will present a full musical in the spring. Detailed calendar will be provided via email, on the website and hard copy in September. Children age 4 through 1st grade. Rehearses Sunday mornings from 8:45-9:15 in room 140. Note: Parents of 4 year olds are required to stay with their child at least through October to be sure they are ready for this experience. Children in grades 2-6. Rehearses Sunday mornings from 10:15-11:00 in room 140. All Children's Choir participants will be escorted from their respective rehearsal to WonderZone, KidZone and COW for the remainder of each Worship hour. Parents may pick them up from those areas after service. Children enjoy playtime and activities in the Children's Discovery Center, an indoor playground built just for kids. It houses the Oak Tree Climber, a playhouse perfectly sized for children, a puppet theater, and plenty of floor space with obstacles for open play. The center is also used for Sunday morning children's worship, Preschool play, Early Childhood programs, special events, and open play time. Open play is available for infants-5th graders only, when they are supervised by a parent or caregiver, who must remain present at all times. Please no climbing on the outside of the Climber and the Clubhouse. Please keep our play area clean and return any equipment back to its proper place. Restrooms are in the yellow-tiled room. Diaper-changing station is in the restroom. Garbage receptacles are located throughout the play area for your use. Christ Church of Oak Brook is not responsible for any injuries or the security of your personal property. We believe in God's value for every human life, and we believe that Jesus loves every child dearly. Our Early Childhood and Children's Ministries are committed to helping provide a safe, welcoming environment where we can focus on loving Jesus with our heart, mind and soul. Encourage each child to enjoy worshipping Jesus. Come alongside parents to encourage their spiritual nourishment. Secure a volunteer buddy to be with your child if needed. Looking for a faith-based school to begin your child's education? 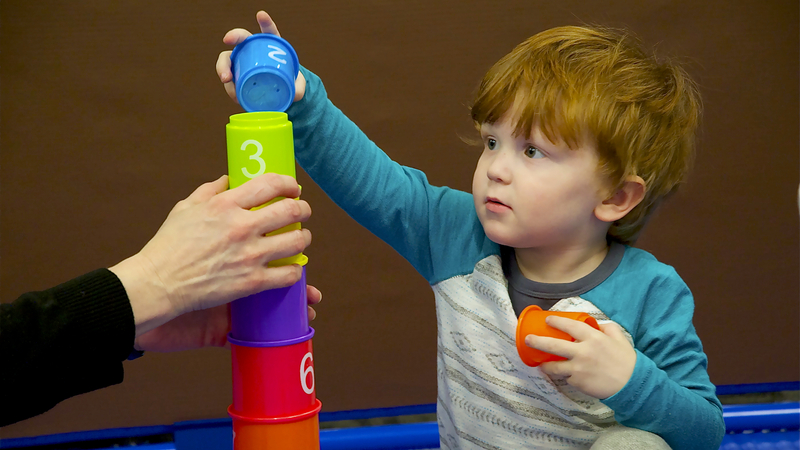 Check out the Christ Church Preschool, a hands-on learning center at our Oak Brook location that is committed to partnering with you through your child's early stages of development.